Student Government Association President Pooja Shah said the Civility Month Committee has tentatively booked Bernice King, Martin Luther King Jr.’s daughter, to come and speak at ETSU during Civility Month. 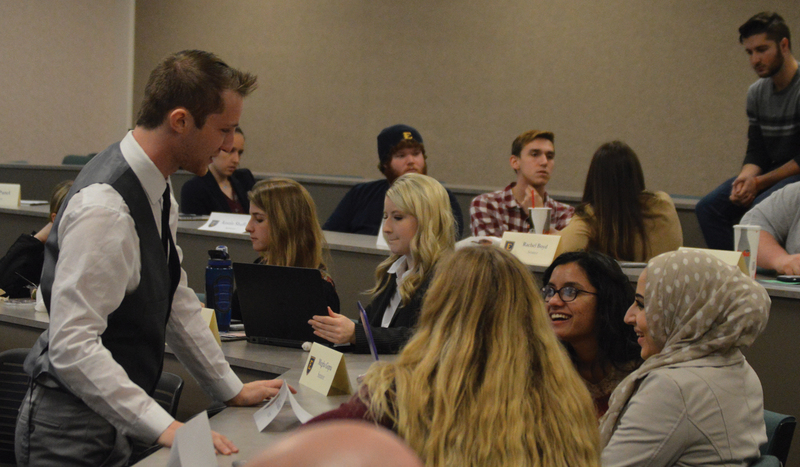 Shah also informed the SGA Senate of plans to host a table in the Cave on Feb. 22 on the FOCUS Act. Shah also said the booth will have fact sheets about the FOCUS Act. In addition to lobbying for the FOCUS Act, Vice President Nathan Farnor informed the senate of an additional way they can be involved in their state government. “There will be a group of students meeting this Friday in the Cave at 1:30 p.m. and going and meeting with their state legislature, Bob Corker’s office, Representative Phil Roe’s office as well as well as Lamar Alexander’s office to ask for their support for the Bridge Act,” Farnor said. The Bridge Act would ensure that children of undocumented immigrants brought to the country as infants or toddlers who currently are enrolled at a college or university could continue to attend the school they go to. SGA also announced that Sodexo is having focus groups on the new food court they are developing on Feb. 27 from 11:30 a.m. to 1 p.m. and 6:30 p.m. to 8 p.m. and Feb. 28 from 3 p.m. to 4 p.m. and 6:30 p.m. to 8 p.m.
Sodexo will provide free food and ask for insight and students’ opinions on the food services in the upcoming year.